Talk about a versatile hunting breed! Here's a picture of 1 year old Sampson in Tulsa, OK. I am very glad I sent him to the "Head Start Puppy Program"! We were able to get Ms. Lou (Kaluha), from your kennel in June of 2002. For the last 6 years she has been an incredible part of our family. She is great with our two young kids and has been a great, loyal companion to me. However, after this past weekend I couldn't help but tell somebody about the most amazing display of tenacity and resilience I have every seen from her. 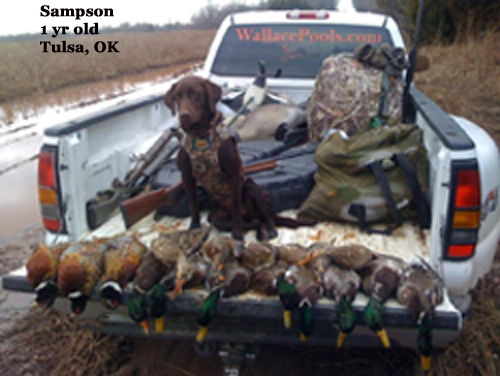 She is a great duck dog, excellent blind manners and a great knack for getting wounded ducks in the tulles. But two days ago she earned her big river badge. We were hunting across from Richland WA, on the Columbia River. We wounded a duck that quickly swam out into the river. 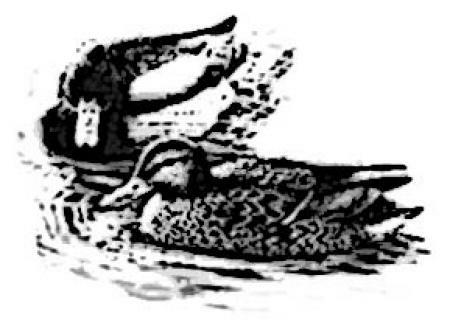 Right behind the mallard was Lou, she followed the duck across the Columbia until she was out of site. My heart sank and after about 1 hour I was resigned to fact that she had drowned. I had 3 different buddies looking up and down the river for nearly 2 hours. I ambled back to my truck to warm up and head down the bank to look on the Pasco side of the river, when just then a jeep drove up. In the jeep were two hunters and Lou. They jumped out and said they picked her up about a mile down river. They told me that when they were picking up decoys they looked out across the river to see a drake mallard swimming towards them sideways. After 10 minutes or so the duck was eclipsed by a blonde lab. She came out of the water and ran right to them and when she figured it wasn't me so she took off up river. Of course, they caught her and brought her back (with the duck). She has always been a strong swimmer, but I had no idea she could swim in the Columbia for nearly 2 hours and make it out alive. As you can imagine I felt the Christmas came early for me, and she will never hunt the Columbia again without a leash. The next day we went right back out and shot limits of greenheads in a snow storm. Nothing can slow this dog down. I could go on and on with her stories over the past 6 years, but this story needed to be told. Tiger Mt. Kennels truly produces incredible hunting dogs genetically driven to go from family dog, to world class swimmers in one day. I am teaching private lessons to Dave and Anna Oszlowka and their Pointing Labrador, "Seattle" (who came from your breeding). We're working on basic obedience commands, with an emphasis on handler consistency, while recognizing Seattle's natural abilities. As a breeder myself (Airedal e Terriers) it's always nice to have feedback from people who have seen my dogs, so I'm writing to tell you just how impressed I am with "Seattle". He's a beautifully put together dog with an excellent temperament, great working potential and a real willingness to please. Oszlowka's have expressed to me many times how happy they are with Seattle. You should be commended on your breeding program....for producing Labradors that point, retrieve game AND possess the temperament to make them superior companion dogs with good looks to boot! I understand Seattle will be returning to to you this Spring for field training and will look forward to hearing updates from Oszlowka's." Just a quick note to thank you for producing one of the finest hunting dogs and best friend both Tami and I have ever had. During our recent trip to South Dakota Maggie May was awesome people that we hunted around were in awe of her abilities and stamina. Many times when other dogs had been thru area's we would bring Maggie back into the cover and she would get birdie and not want to leave in every attempt she came up with a bird (she knew they were in there). I just took Parker to a pheasant hunting preserve in eastern Oregon yesterday along with my son for his first pheasant hunt. My son turned out to be a crack shot and Parker turned out to be a Pointer!! point. I about passed out with excitement and disbelief at what had just taken place! Parker held this point and allowed me to walk in front of him where I kicked up a nice rooster and my son quickly dispatched it with a single shot. 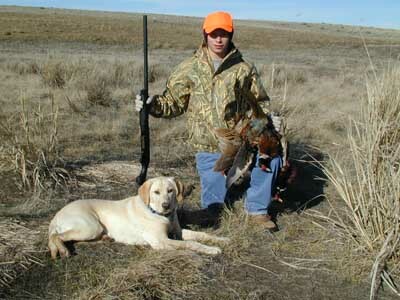 It was my son's first pheasant and my dogs first point. I couldn't think of a prouder moment for a dad! We continued our days hunt and by 3pm we had 6 of the 7 birds. Parker pointed each of them and held the point while we were able to flush them and take the shot. It was perhaps my favorite day of hunting ever! I now have a son that wants to go again and a dog that appears to have the raw material to turn into a top upland bird dog. Just wanted you to know this and to say thanks again for all the dividends Parker is bringing to our lives. " "I just wanted to tell you that Radar has long since become an irreplaceable component of our family. His weight is good, his endurance is staggering and his temperament is quite frankly unbelievable. This friend does not bark, does not whine or whimper and his sole purpose in life seems to be to please his master. He is with out a doubt the fastest, most agile Labrador that I have ever seen. In the last year I personally witnesses a 180 yard Chukar retrieve and (hold on) a three hundred yard mallard drake retrieve. I work with him twice a day on retrieves with a ball, dealing with both blind and seen throws. He goes after the balls with the same zest and desire that he has with live birds. I am so totally pleased and impressed with your breed and training that I have recommended and bragged about your operation to everyone that will listen. I can’t thank you enough for my little, black friend that I have grown so accustomed to. If and when I need to get another pup, I will certainly only call you. Just wanted to let you know that Otter, the pointing lab we got from you about 8 years ago is still doing great! Just got back from a pheasant hunting trip to North Dakota and he did great. He had lots of great points and retrieves! He’s still a great family dog the rest of the year but can also still hunt when called upon. Hope all is well. If I get some pictures I’ll email to you. 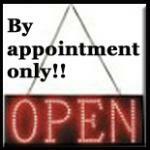 Its been a long time since I have communicated with you and I thought I should let you know how Casey is. Casey has developed into a fine pointer and retriever. He came with all the skills and ability necessary and has been a wonderful animal to work with. He has developed into a staunch pointer steady to wing and shot . His retrieving ability is amazing .He works well to hand sinals , has amazing marking ability , does doubles, triples and will do double blinds out to 200 yards without a hitch. He of course has a nose that just blows me away at times. He has given me a lot of pleasure in the field . I have had labs in the past (retrievers) and he is far superior to them. Its hard for me to believe that one dog can be such an exceptional animal when performing as a pointer and a retriever. Casey works at a good pace when hunting and runs just as hard coming in with the bird as he does going out ! You are to be commended for the dogs you provide and the work youve done in your field. Casey and I are going Pheasant hunting in Kansas during December. I am really looking forward to the hunt with him,itsgoing to be great. 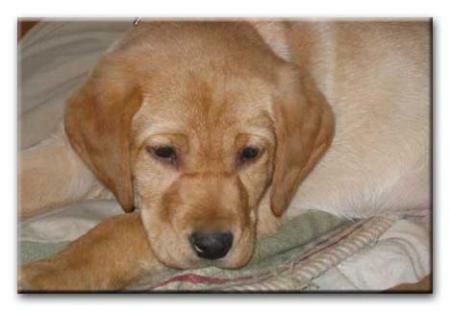 I purchased a male lab from Tiger Mountain Kennels and will purchase my next pointing lab from them as well. The dog Gus is everything they had advertised. I have had labs for 40 years and this dog rates in the top two on his desire to hunt and follow commands. Tiger Mtn Kennels were very easy to deal with and kept their word. Our Tiger Mountain lab, Sammy, arrived 3 years ago. She has not only become a trusted and loved member of our family, but for 3 months a year I get to be the owner of the best hunting dog, bar none, in my hunting group. She points staunchly, hunts tirelessly, and when a bird goes down where other dogs refuse to go, the words "get Sammy over here" make me proud. She is by far the most athletic dog I have ever seen and I give all of the credit to John Greer at Tiger Mountain for that. I will own many more Tiger Mountain labs. I will never get another dog unless it is from John Greer at Tiger Mountain Pointing Labradors. My dog Gunner is a 7 month old black male and has done better at duck, pheasant and quail, then several other dogs from other breeders that we have been with this year. These other dogs were significantly older and put through more training, but Tiger Mountain dogs hunt more natural than any other dogs that I have seen. The training from John and his people is also worth every penny! Though not collar trained yet, he has hunted in South Dakota for ring necks with a group of six and four other dogs. His pattern was phenomenal and never went further that 25-30 yds. and a collar was never needed. Best dogs!!! Great training!!! Fantastic People!!! 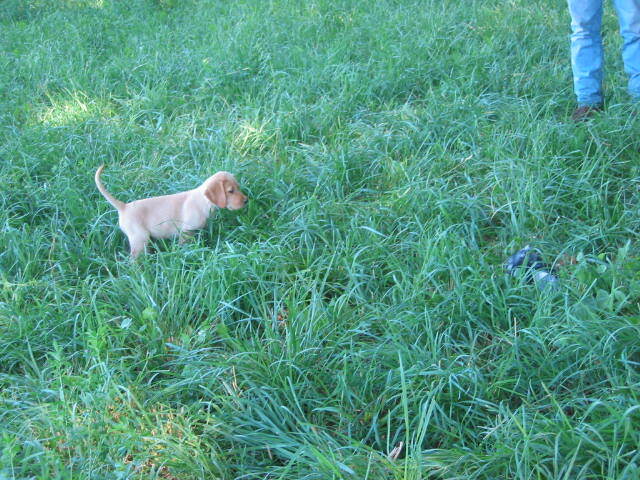 Our Tiger Mountain Pointing Lab puppy participated in the Puppy Head Start Program, where she was exposed to a whole lot of birds, working released birds in hunting conditions. Later, she then went through the Force Fetch and Upland Training programs. The day we brought Gypsy home from her training with Tiger Mountain she was not quite one year old. The very next morning I got Gypsy out hunting wild birds and she pointed and retrieved a limit of rooster pheasants that first day. The next day she did it again. Another full limit of pheasants on her second day of hunting. In the last week Gypsy and I have hunted five days and she has pointed and retrieved 13 rooster pheasants. The credit for Gypsy's success goes to the training she recieved with Tiger Mountain. She demonstrates a strong natural point and an intense desire to hunt. She is energetic and eager to retrieve. Gypsy is a wonderful family companion and a pleasure to hunt with. Labs has been everything we have been looking for and more. We had her(Coco) out for trainging this summer for 3 months and she is such a pleasure to work with out in the field with whistle comands. 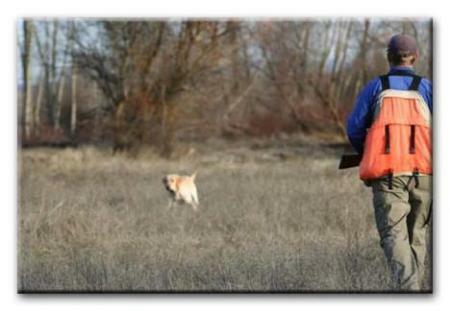 The dog ranges well has a very good nose, points and does not give up on a down bird. All of this from a dog that just turned one year old says a lot about the breader. I was not able to send the dog back to Tiger Mountian for training but the trainer who worked with her this summer felt she was one of the best dogs he has ever worked with and whishes this was his dog. I purchased a Tiger Mt. Pointing lab from John & Choral when I was in college. My dad has been a gun captain for over 30 years for field trials in the North West area. I have had the privilege and opportunity to hunt with some of the finest dogs around. After hearing about Tiger Mt., I had to see this operation for myself. (And he was in my home town in college) I called John and asked him if I could come out to the farm and look at some of his dogs and see them in action. We instantly hit it off on the phone and invited me over to come over the next day. After seeing his dogs work I new I had to have one! He put me on the list and before I new it he called and said I have a pup for you. I put Harlie ( My black lab) through puppy school and his advanced training. I have never hunted with a finer dog! After my dad saw her work, he had to have one too. We have became great friends with John and Choral. They are an absolute 10! If you are thinking about getting a top hunting dog I would only recommend Tiger Mt. I will be contacting John and Choral soon for another pup. Since my purchase we have sent everyone that we hunt with to John and Choral. Thank you guys so much! I feel blessed to have met them! Proud owner of a Tiger Mt. Pointing Lab! I bought my puppy from Tiger Mountain then had John and his crew put Cinder through his puppy basic training and Force Fetch. From start to finish I have been nothing but pleased with the results of the dog and the training. John take the time to explain the program and what you should be doing with your dog at home to further its development. To date my 10 month old Tiger Mountain puppy has pointed and retrieved 16 birds since October 8th. Tiger Mountain is a first class operation. 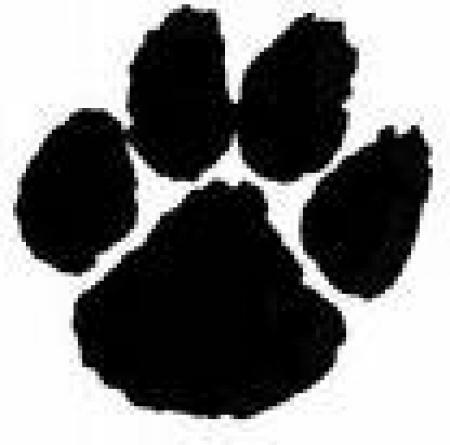 My next dog will be from Tiger Mountain. Tiger Mountain is a first class operation all the way through. Amazing dog! wonderful temperament! It has been super easy to train! Not to mention that he is breath taking beautiful. He is everything a lab should be and is. I cannot imagine having a more energetic, easy to train dog, as the male I got from Tiger Mountain. Hawk is my 5th lab I am 60 and just had to euthenise my 15 year old, who hunted up until this year. I have always bought from a Breeder, and Tiger Mountain has suprised me with the Energy level of the male I got from them. No stopping this guy. I hunt the Columbia River and there have been times that I had to call him back after 300 yards, get the boat and find the bird again. As we walked out of the flooded fields last year he made a B line east to a spot that just looked like water, out his head under and pulled out a teal.....I had now idea there was a bird there it was over 75 yards from our line of travel. Cant say enough about Tiger Mountain Dogs. John's dogs are great in the house and with my kids. They are family. 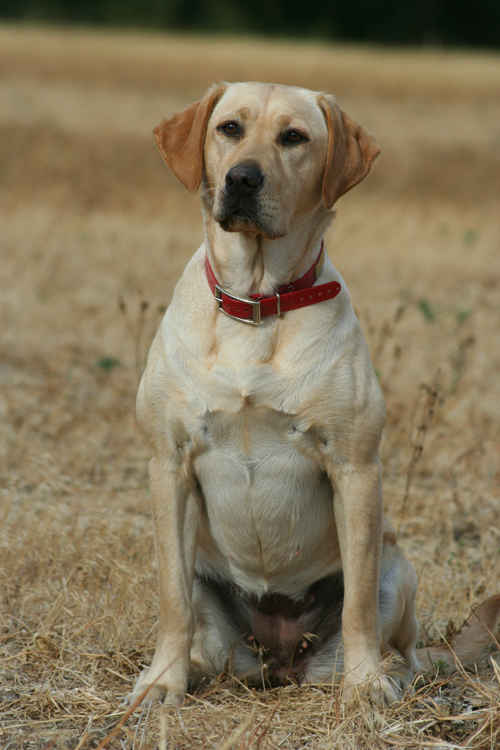 Every year in the field Dixie amazes people who have never seen a pointing lab. It never hurts to get compliments on your bird dog and Dixie still gets them at 11 years old. We hunt pheasant, sharptail, Huns, quail, and blue grouse. John's dogs do it all and do it with style! Wonderful dog with a lot of drive, an unbelievable nose and a great companion for the whole family. John had her for only a month (at 8 months of age) and she was ready to hunt. I have three Training Mountain Pointing Labs and have been working with them since 2001. Before making my first purchase I looked at other breeders and I visited the Tiger Mount. Facility. My search was over. I was impressed from that first day, and have continued to be impressed through the years. Their dogs and training programs are the total package. These are some of the most versatile gundogs I have ever owned. We purchased our boy Carter from Tiger Mountain in the fall of 2003. 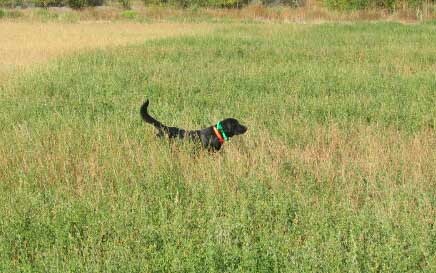 Carter has been a true joy to hunt over; he points his birds and is a great retriever. We hunt the rough country of Nevada for chukar 40 to 50 days a year. If you’re looking for a great PL and a wonderful companion Tiger Mountain is the place to go. I have had my Tiger Mountain Pointing Lab for 6 years now and couldn't be happier. Before I decided where to by my lab, I visited the TMPL facilities and was thoroughly impressed. Since none of us get out hunting as much as we would like, it was important to me to have a dog with great instincts as well as a great demeanor. My black female Sage has literally traveled the country with me from Alaska to Maryland and everywhere in between. Bottom line is that I have yet to see a more versatile, well mannered hunting dog and couldn't be happier that I have her by my side. We bought our TMPL female 2 and a half years ago. back to WA from Maine to be puppy trained and has hunted for pheasant and quail in Maine and NH and is great. This year she flew back to WA and was bred with a sensational male at TM and now is the proud mother of 11 beautiful pups, four of which are going back to WA. Tiger Mountain produces the greatest dogs around. We are proud owners of 2 TMPL, they spent October in S.D. hunting roosters and they were incredible, we have a 2 1/2 year old and 8 month old.If you are looking for the ultimate hunting dog and family pet TMPL will not dissapoint. We have a pup that is almost 7 months old now that we purchased from TMPL. She was pointing birds when we brought her home at 7 weeks and has only gotten better. She is excellent at retrieving and has most commands down almost perfectly. We are currently working on force fetching her. This has been one of the smartest and most cooperative labs we have ever owned. I would highly recommend Tiger Mtn. Pointing Labs to anyone who is serious about hunting.